We’re giving away $2,000 in Cash Prizes and More than 100 Gifts to Local Shoppers!! This holiday season, YOU can help build a stronger community in Wilmington & Clinton County by supporting local businesses for all your Christmas shopping needs! Just think: for every $100 you spend at locally owned businesses, $70 is reinvested in the local economy. It’s like giving a gift to the community every time you shop. And this year, we’d like to extend our heartfelt thanks to you for buying local. Beginning November 24th, each time you spend $25 at a participating business you’ll be eligible to win one of five $100, two $250, or two $500 cash prizes or one of over 100 great local gifts!! 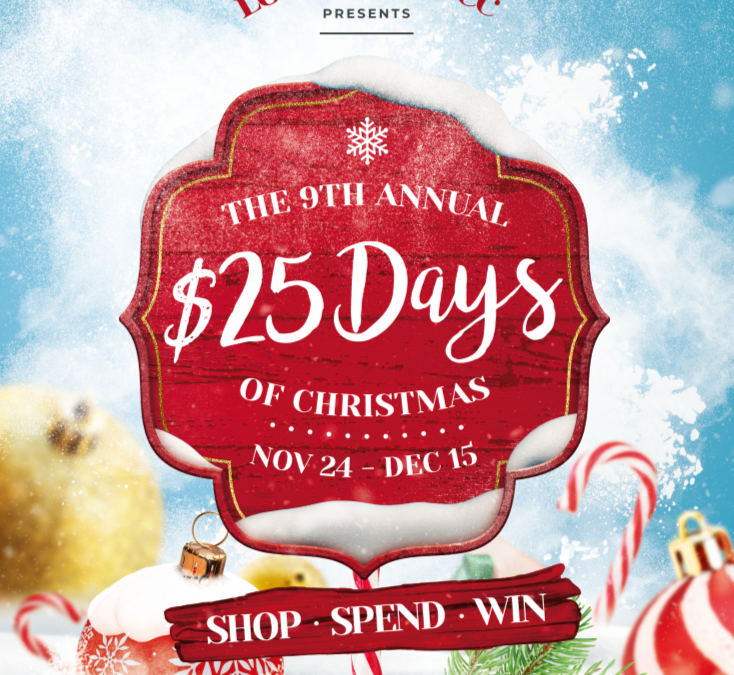 (1) SHOP at a participating Local First business from Nov. 24th until Dec. 15th. (3) WIN fantastic local gifts or one of five $100, two $250, or two $500 cash prizes from Local First! Prize drawings will take place on December 1st, December 8th, & December 15th!